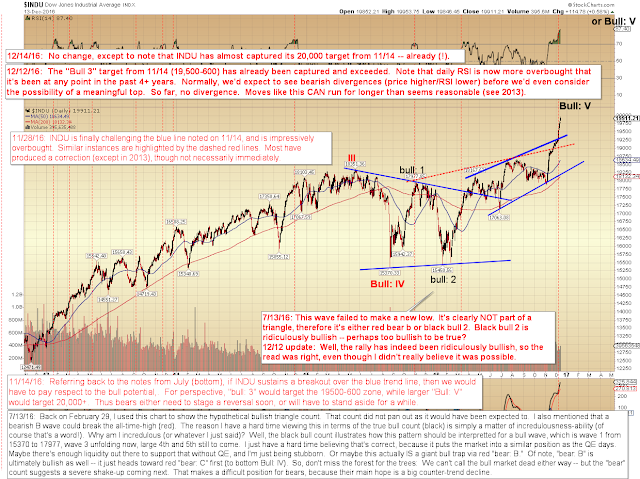 Still no real change, except to mention that NYA made a new all-time high yesterday (it had been lagging SPX and INDU). This is the type of market that can burn traders out of sheer boredom. We get bored with the move running on and on, and sometimes that leads to trying to predict turns more because we ourselves get anxious than because the market dictates such a prediction. In conclusion, as I've been saying for the past several weeks, there's just nothing to do here except ride the trend -- at least until the market says not to. I know, it gets kind of boring, but don't let boredom drive you to waste capital front-running excitement. 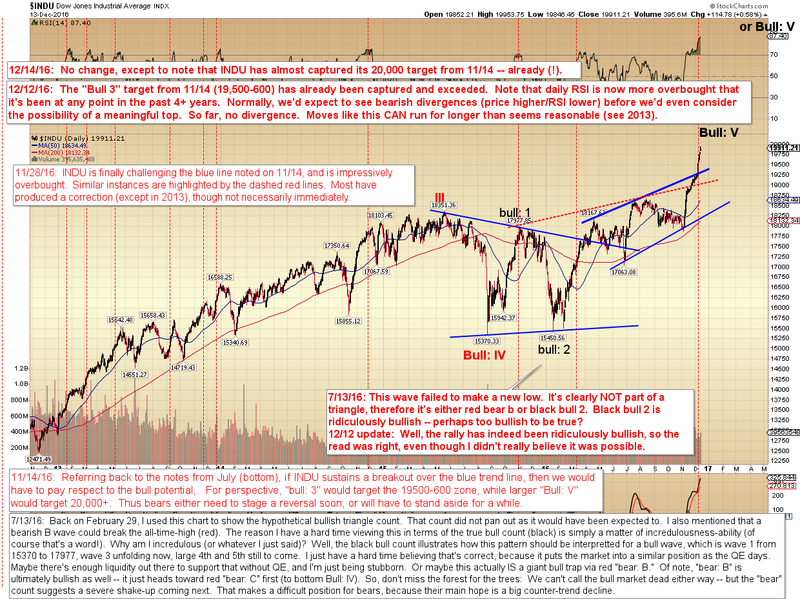 I will note that the rally gives some hints that it may be all or part of an extended fifth, so when it does finally end, it may do so quite abruptly. That said, I'll reiterate that such an end could easily come quite some time from now, and at much higher prices (of course, it could always come tomorrow; we'll know it when we see it!) -- so we're not chasing a top here, we're just alert to the fact that when the warning signs finally come, we're going to pay attention and not act complacently. Trade safe.